Kohlschreiber's tennis racquet - what racquet does Kohlschreiber use? Philipp Kohlschreiber is entertaining to watch, much due to his fabulous technique on both forehand and his one-handed backhand. This post will deal with Kohlschreiber’s tennis racquet. 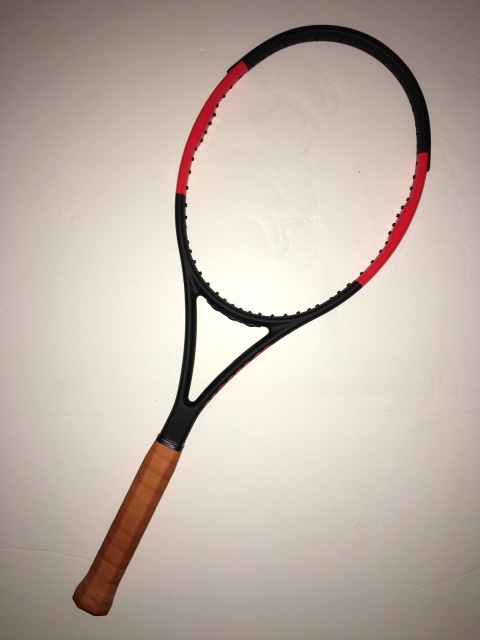 Kohlschreiber currently endorses the Wilson Pro Staff 97, but if you look at the above picture up close you will see that it is in fact the racquet he’s been using all these years: a Wilson Hyper Pro Staff 6.1 XL 95 in 16×18 string pattern. Pic from poster “Gargamel” on Stringforum. Kohlschreiber has a big, quite complete game, but seems to lack the mental strength to put away top ten players and rise in the rankings. Instead, he has been hovering, quite steadily, in the top 30 for many, many years. His game is a joy to watch however as his technique is great and he plays well on pretty much all surfaces. He does put a lot of top spin on the ball and hits with big, loopy swings. You need to have really solid technique to hit with a racquet with such as a massive swing weight. The extended length makes it heavy to swing and a quite difficult racquet for mere mortals to use. Another player that uses the Hyper Pro Staff version of the 6.1 95 is Juan Martin Del Potro, but he uses it in standard length and in an even heavier static weight. Find out more about Del Potro’s racquet here. At the time of writing, Kohlschreiber has won eight titles and his best Grand Slam result is a quarter-final at Wimbledon 2012. He should have a few years left of steady tennis. Kohlschreiber wears Asics Gel Solution Speed 2 shoes and uses Luxilon Alu Power strings in a hybrid with Wilson Natural Gut . He has recently moved from Asics apparel to Mizuno apparel . 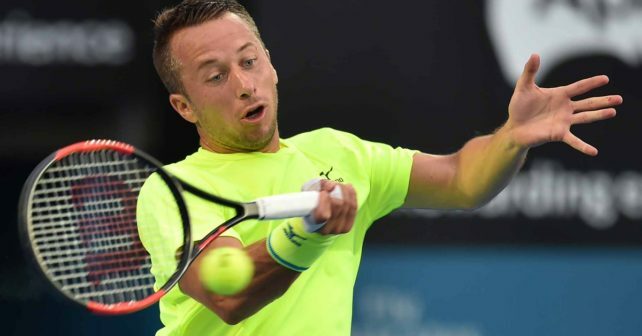 What do you think of Kohlschreiber’s tennis racquet and game? Is he a player you enjoy watching?